In December 1890, M. Etienne, Under-Secretary of State for the Colonies, writes to Pasteur asking him to create a centre in Saigon for vaccination against Smallpox and Rabies. At the same time, a senior colonial physician, Albert Calmette*, follows lectures on microbiology given at the Pasteur Institute by Emile Roux. Pasteur convokes him and offers him the post which Calmette accepts immediately. The first links between the Pasteur Institute and the Colonial Health Service date from this historic meeting. These intrepid pioneers soon make important discoveries. They open the way to an army of builders. Right across the world, these disciples of Pasteur, among whom Yersin* distinguishes himself, multiply establishments, branches of the Paris Pasteur Institute. Their work, concentrated more on applied research rather than speculative research, is an appropriate response to the message of both Pasteur and the Colonial Health Service : "to be always in contact with and in the service of men, especially the poorest and the most vulnerable". The evolution of these institutes in the new independent states took place in perfect accord with "the mother house". Among the accomplishments, one must remember, notably, the eminent role played by the Institutes in the discovery of anti-venomous serums and vaccines still being used against tuberculosis, plague and yellow fever. As soon as he arrives in Saigon, Albert Calmette installs his laboratory in an outbuilding of the military hospital. It is the beginning of the Pasteur Institute of Saigon which is inaugurated in 1896. 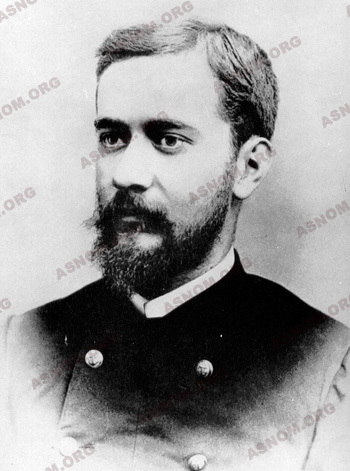 In 1895, while exploring the Indochinese hinterland, one of Pasteur's first students, Alexandre Yersin*, who had discovered the plague microbe in Hong Kong the year before, founds a Pasteur Institute in Nha-Trang. In 1896, A. Marchoux* is given the mission of applying Pasteur methods to the study of microbial and parasitic diseases in Black Africa. He installs, in the premises of the Saint-Louis Military Hospital of Senegal, the first African laboratory of Microbiology which becomes, during the three years of his sojourn, a renowned centre of research. 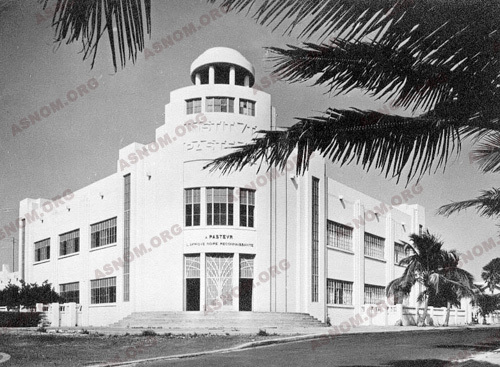 Transferred to Dakar, this laboratory plays a prominent role in the fight against Yellow Fever and is named the Dakar Pasteur Institute, inaugurated by Constant Mathis* on the 1st of January 1924. Back in France, these pioneers, enriched by their experience in the domain of organizing as well as in that of scientific competency, are given appointments in the Paris Pasteur Institute. They form, together with the few rare specialists in Metropolitan France, the first nucleus of the "Society of Exotic Pathology", founded by A. Laveran in 1908, a meeting point for reflection and discussion, with the publication of a periodic bulletin. Every year since 1903, the physicians of the Colonial Health Service come to the Pasteur Institute in Paris to follow a course in Microbiology and to improve their knowledge of Tropical Pathology. Since the inauguration, in 1905, of The School of Medical Practice of the Colonial Health Service, microbiology is given great importance in the programme of training for colonial physicians and chemists. The subject is usually taught by physicians in military service who are followers of Pasteur. Pasteur himself had expressed the wish that his discoveries would be beneficial to the most underprivileged populations and those most vulnerable to infectious and parasitic diseases. Emile Roux and those who succeed him as Director of the Pasteur Institute pay particular attention to the realisation of this wish. In this regard, N. Bernard* and H. Marneffe*, as Vice-Directors of the Institute, play an important role, just as M. Vaucel* does after the creation of an Administration of Pasteur Institutes outside Metropolitan France. It is to the colonial military physicians thus trained in the school of Pasteur that the responsibility is given for the establishment and functioning of most of the vaccination centres and microbiology laboratories, of which many, just like those in Saigon and Dakar, have later become Pasteur Institutes. These tropical laboratories of the Pasteur Institute have also contributed towards the scientific and technical training of native collaborators and participated in higher education in the faculties of Medicine and Chemistry. The activity of colonial physicians and chemists are, above all, oriented towards applied research, faithfully following the Pasteur doctrine, and there is no aspect of tropical medicine nor any improvement in Public Health to which the Pasteur Institutes and the microbiology laboratories they control have not made their contribution. "To Pasteur. From grateful Black Africa"
The cultural stamp that France has left in the colonies represents the efforts made by many generations. The Pasteur Institutes have played an important role and the Colonial Health Service, which established and managed most of them, may well be proud of its accomplishment in this domain. When in 1880 Albert Calmette* began his studies at the Naval School of Medicine in Brest, it was still thought that diseases such as Malaria and Yellow Fever that he, helpless and disappointed, had to contend with on board the Hospital Ship Alceste, in the remote countryside of Gabon, had a telluric origin. Ten years later, in 1890, in Saigon, he shows his astonished fellow physicians how easily Laveran's haematozoon can be found in the blood of patients suffering from Malaria. Gradually, he improves the laboratory equipment so that he succeeds, during his sojourn of two and a half years, in preparing sufficient quantities of vaccines against Smallpox and Rabies for the whole of Indochina and even the neighbouring countries. He succeeds in isolating the yeast that enables the industrial manufacture of rice alcohol. Finally, he begins the researches which will end in the discovery of anti-venomous serotherapy, refined and perfected at the Pasteur Institute of Lille which he directed after his return from Saigon. It is once again in Lille that the Chief Physician Calmette cultivates, with the collaboration of Guérin, a bacillus to be found in cattle suffering from tuberculosis and treated with bile. It is called the bacillus Calmette-Guérin, better known by its initials BCG. This bacillus is capable of protecting man against the most serious forms of tuberculosis The anti-tuberculosis vaccine which is still used universally had just been discovered. His discovery in Hong-Kong of the plague bacillus is the beginning of a memorable adventure that continues in Indochina. Yersin* establishes in Nha-Trang a laboratory and, at the same time, a breeding centre for the study of animal diseases and the preparation of an anti-plague serum; then an agricultural centre where he succeeds in acclimatizing the rubber tree which ensures Indochina's economic development. The time we spend in this establishment which is still rudimentary - with this young scientist without any personal needs, uniquely bent on the performance of his task - is quite heartening". He is the first Director of the Indochina School of Medicine opened in Hanoi in January 1902. The gradual scarcity of cinchona, a tree that grows in Peru and neighbouring countries, necessitates the cultivation of this plant elsewhere. Only in Indonesia in 1852 and in India in 1872 is there complete success, but a real monopoly comes into being. The increasing demand for quinine, extracted from the plant, to treat the local populations, and its price which rises higher and higher, makes Yersin envisage the growth of cinchona in Indochina. Yersin, who has already succeeded in acclimatizing the rubber tree there, begins to do the same with cinchona. After many difficulties, he achieves complete success on the hill of Dran. The quinine content of the barks is found to be sufficient to continue cultivation, which leads to a rapid spread of plantations. In 1931, 2 100 tons of cinchona bark are treated. It will be 29 600 tons in 1939, on the eve of the war against the Japanese. In 1937, the supply pharmacy of Tourane extracts 287 kg of the sulphate of quinine. Two years later, Indochina becomes an exporter of quinine. In 1943, under the direction of Deniel* and Clemensat*, the production attains 3 tons and Malaria declines everywhere. 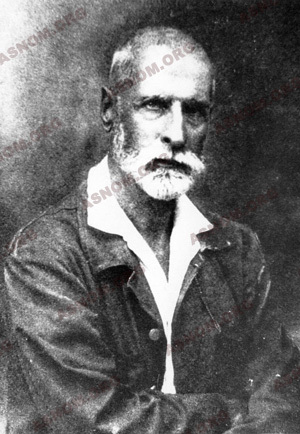 At the time of his death in 1943, Yersin is aware that Indochina has the means to combat Malaria alone. He is buried in NHA TRANG where his grave is still looked after. Between 1890 and 1970, of the 25 associated Pasteur Institutes and Laboratories established in the five continents, 17 have been founded by physicians of the Colonial Health Service, 15 in the ancient colonies and 2 in Iran and China. Their functioning has been assured by about a hundred colonial physicians and chemists. 1891 - Calmette* - Microbiology Laboratory of Saigon, which becomes a Pasteur Institute (P.I) in 1896. 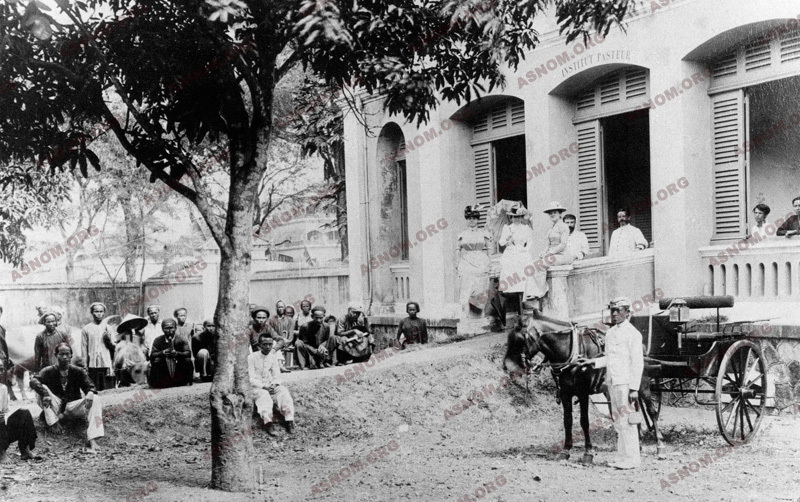 1895 - Yersin* - Pasteur Institute of Nha-Trang (Vietnam). 1896 - Marchoux* - The Saint Louis Microbiology Laboratory (Senegal) - P.I. of Dakar in 1924. 1898 - Thirough* - Microbiology Laboratory of Antananarivo - I.P. of Madagascar in 1927. 1908 - Martin* G. - Pasteur Institute of Brazzaville (Congo). 1910 - Noc* - Microbiology Laboratory of Fort de France - I.P. of Martinique in 1938. 1902 - Kerandel* - Microbiology Laboratory of Phnom-Penh - I.P of Cambodia. 1913 - Leboeuf* - G. Bourret Institute of Nouméa - I.P. of Nouméa in 1955. 1914 - Leger* M. - Microbiology Laboratory of Cayenne - I.P. of Guyana in 1940. 1917 - Gauducheau* - Microbiology Laboratory of Hanoi - I.P. of Hanoi in 1925. 1920 - Mesnard* - Pasteur Institute of Teheran (Iran). 1924 - Fabre* Microbiology Laboratory of Pointe à Pitre - I.P. of Guadeloupe in 1948. 1936 - Souchard* - Pasteur Institute of Dalat (Vietnam). 1938 - Raynal* - Pasteur Institute of Shanghai (China). 1959 - Gamet* - Pasteur Institute of Yaoundé (Cameroon). 1960 - Chippaux* A. - Pasteur Institute of Bangui (Central African Republic). 1970 - Chippaux* A. - Pasteur Institute of the Ivory Coast. - Plague. The victory over plague is realized in three stages by great figures of the Colonial Military Health Service, all three of them disciples of Pasteur : Yersin* isolates the microbial agent; Simond* identifies the carrier of the disease, the flea; Girard* and Robic* develop a very efficient vaccine. - Sleeping Sickness : in 1905, G. Martin*, a student of Mesnil, brings to the Pasteur Institute living strains of trypanosomes isolated in Guinea. Following a second mission in Congo, he is given the task of establishing a Pasteur Institute in Brazzaville, which later became a centre for research on Trypanosomiasis. 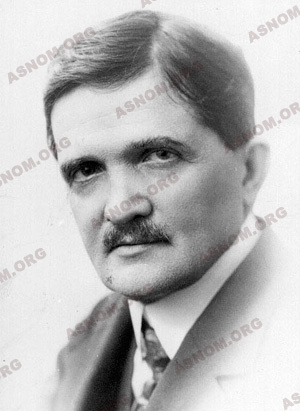 E. Jamot*, the Director of this Institute in 1916, conceives a method of prophylaxis of remarkable efficacy which, applied by the Colonial Health Service, practically eliminated this disease. - The perfection of vaccines resistant to heat is essential for ensuring their innocuousness and efficiency when they are transported and used in the tropics. The use of the most modern materials and the latest techniques have made the Pasteur Institute of Dakar the unique centre in Africa for the production of anti-rabies vaccine, leading to the decentralisation of the preventive treatment of rabies, and of antiamarillic and anti-tuberculosis (BCG) vaccines, in accordance with international standards. These vaccines are widely used in African states for protection against Yellow Fever and Tuberculosis. In 1970, Jacques Monod, a recipient of the Nobel Prize for Medicine, taking over the direction of the Pasteur Institute declares: "The Pasteur Institute would find it impossible to accomplish the tasks that are confided to it without the support of the military personnel so worthy of praise for their competence and dedication". Going from words to action, it is physicians of the Colonial Health Service that he appoints to the newly-created posts of Medical Adviser to the Director and that of Chief Administrator of the Overseas Pasteur Institutes and Voluntary Service Overseas. At present, the overseas Pasteur Institutes have become the "international network of Pasteur Institutes and associated Institutes", a title which expresses both the diversity of the statutes of these establishments and the link which unites them. The organisation consists of 22 institutes and the Military Health Service still plays an important role in it. One third of the establishments are directed by military physicians. - L Chambon et A. Rivoalen : L’oeuvre des pasteuriens. Médecine et Armée 1973, T 1, n°2 p 72-80. - P. Brès and L. Chambon : The Pasteur Institute Worldwide. Trends in Biochemical Sciences.1982 Vol 7 n°3, p 83-84.